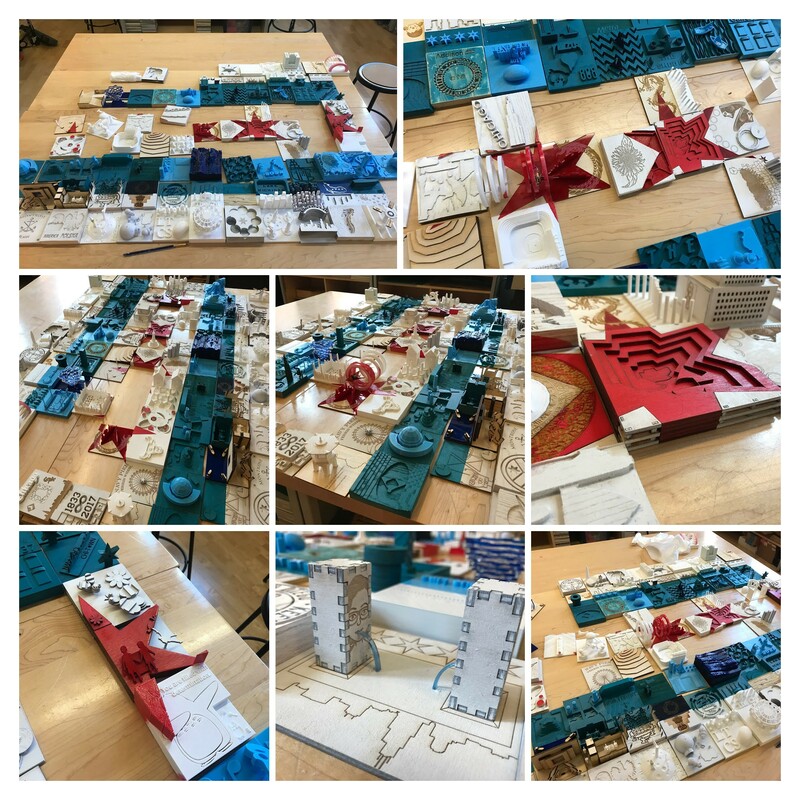 Update March 25, 2018: After an 8 month stay at Navy Pier, the LTMakers Chicago Flag Mosaic project has moved to the next stop on its tour…the Museum of Science and Industry! The flag is part of MSI’s temporary Spring Break exhibit Make Shop that runs until April 8th. At the end the hands-on experience, attendees will see the flag along with a few other featured projects / Makers. This facilitated experience walks you through building a customized wearable in three stages: vinyl cutting, 3D printing, and LED circuitry. As you work, you’ll learn about problem-solving skills, the diverse community of Chicago makers, and the positive impact that making can have. Make Shop is not included in Museum Entry, and requires an additional, timed-entry ticket available as part of Explorer ticket packages. For ages 6 and up. Children ages 6 to 12 must be with a Make Shop-ticketed chaperone (18 or older). Some quick background: I’m not a writer. More background: I’m a Computer Science teacher at Lane Tech College Prep High School, one of roughly 650 Chicago Public Schools. Lane is a huge school with roughly 4400 students, and an amazing history. In the past 4 years, our CS department has grown from 1 to 10 teachers offering 11 different CS courses. I’m honored to be working with an amazing team of talented and dedicated educators and an administration committed to bringing equitable and accessible CS to our students. 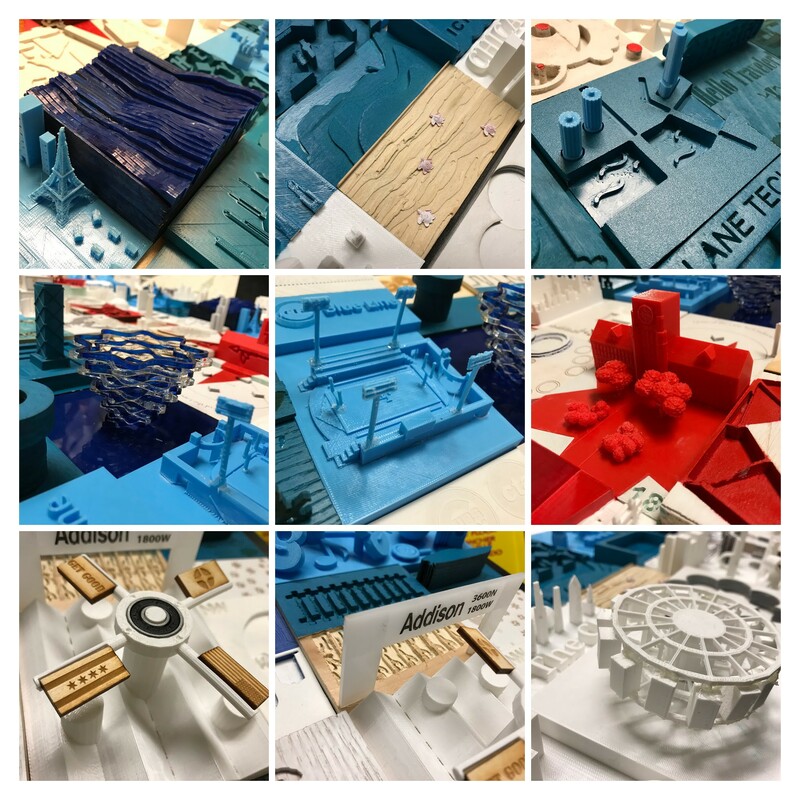 With the support of the administration, the financial contributions of a few philanthropic organizations, and the help of a some amazing people, I designed, built and wrote curriculum for the 4000 sqft LTMaker Lab. Like other maker spaces, the lab is outfitted with a variety of design and digital manufacturing tools including laser cutters, 3D carvers, 3D printers and vinyl cutters as well as soldering irons, hardware prototyping materials, lo-fi prototyping materials and more. Each student was randomly assigned a “tile” and was given the vectors for that tile. Each tile was 4.2852” W x 4.4444” H. The final size was planned at 60” x 40” with a 3/4" x 62" x 42" plywood mounting base. 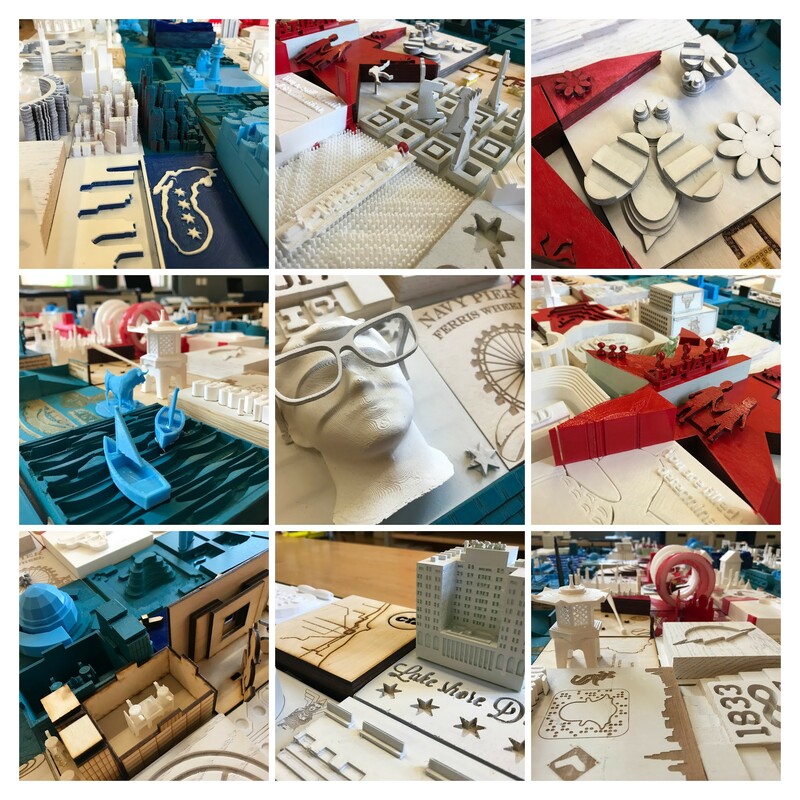 The students were randomly assigned a “main” tool of either a laser cutter, 3D carver (we use X-Carve and Carvey from Inventables), or 3D printer. They could incorporate any other tools into the project but the assigned tool had to play a significant role in their tile. What they did with that tile was up to to them as long as it was appropriate. The tile could be up to 3” tall and had to have three-dimensional aspects to it. When looking straight down on the tile, it had to match the exact vectors and overall color(s) they were given. 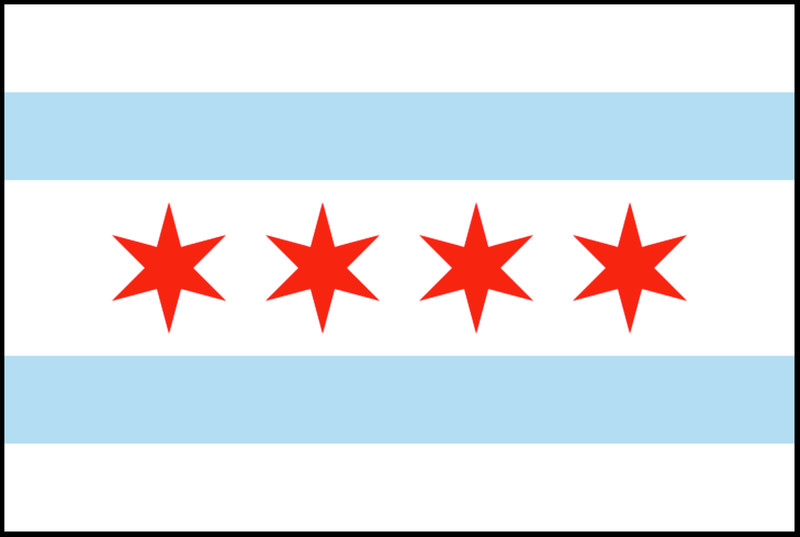 The flag I used as a starting point is the flag posted on Chicago’s Wikipedia page. As things started to develop, I was getting really excited about how it was coming together. The creativity of my students seemed to have no limits. I’ve learned over my 15 years of teaching to let go of my fears of having to come up with creative ideas, and remember that if the students are given the right combination of opportunities and resources, and are taught with inquiry and passion, they’ll work magic. 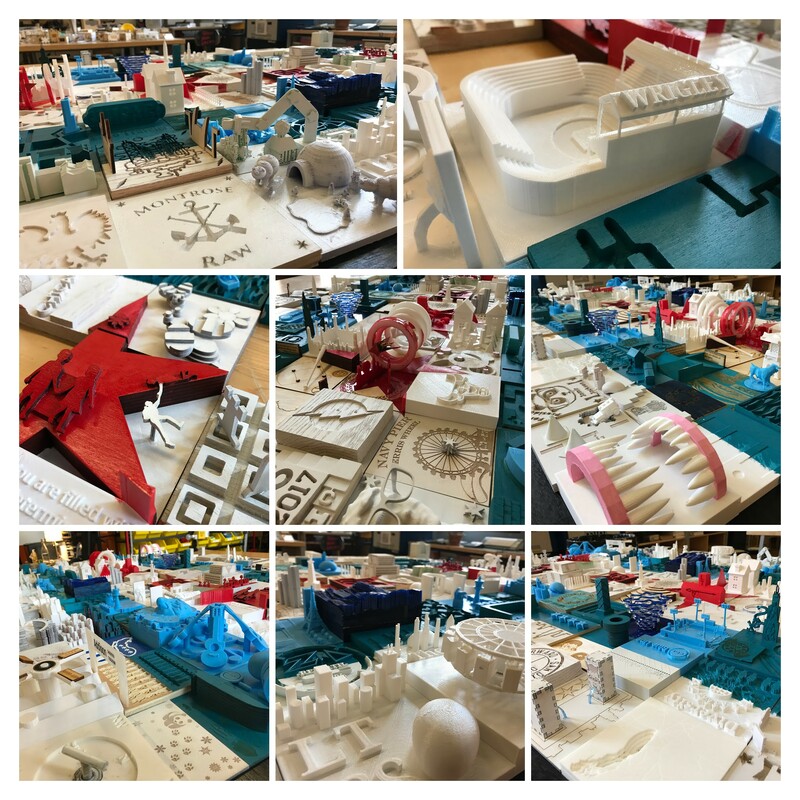 I’m so proud of these kids and all of the creativity and effort they put into this project. 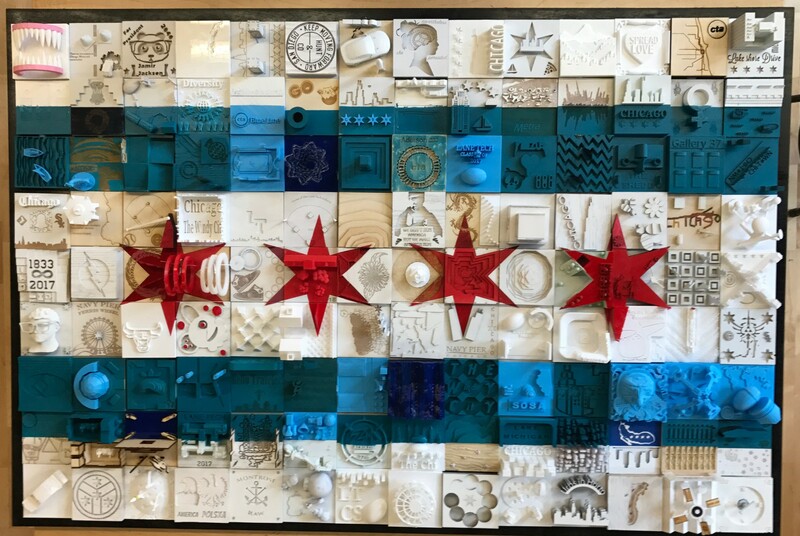 As of now, my hope is that the project can be displayed at locations across the city and then make it’s way back to be permanently displayed at Lane Tech. at the pictures throughout this post along with a few additional ones, please visit this Google Photos Album. I’ll keep adding additional articles and resources to this section as they become available.